Join the AAGP | Meetings | Common Dig | Dig Pics | Business Digs | Prospecting Lessons | Purchase GOLD | Advertise with us | Events Calendar | FREE GOLD! 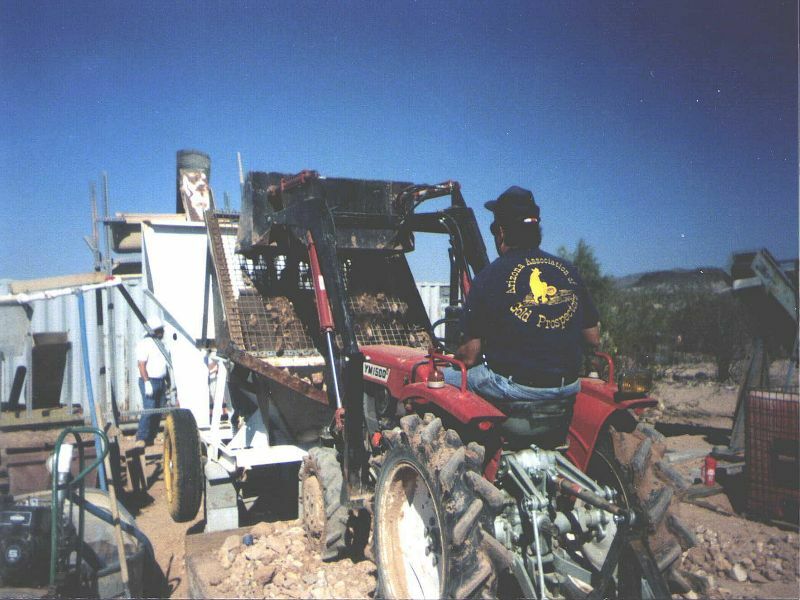 Arizona Gold Prospectors have helped build the premier recreational GOLD prospecting and mining club in Arizona, the Arizona Association of Gold Prospectors. We are an exciting and active prospecting club that is dedicated to bringing fun, entertainment and education back into prospecting for the novice, intermediate, and advanced prospector. We do this through placer GOLD prospecting and mining activities for both individual prospectors and their family members. Each AAGP Membership includes the member, spouse and any children under the age of 19 so the whole family can enjoy prospecting and finding GOLD together. The AAGP club chapters are dedicated to providing members with monthly meetings, prospecting and mining events like outings and common digs along with great local mineral claims to prospect on. If digging, panning, dredging, sluicing, highbanking, drywashing, or NUGGET shooting for GOLD is your desire then you need to check us out! All AAGP members are assured there will be plenty of fun and excitement to be had, prospecting to do, and GOLD to be found. AAGP members are able to prospect and mine on some of the best mineral claims located throughout the "golden triangle" of Arizona with the majority only one to two hours drive of Phoenix, Glendale, Scottsdale, Mesa and even Tucson! In additon to all of this we are also the only GOLD prospecting club in Arizona whose members have year-round access to a commercial placer GOLD mining operation for Common Digs! 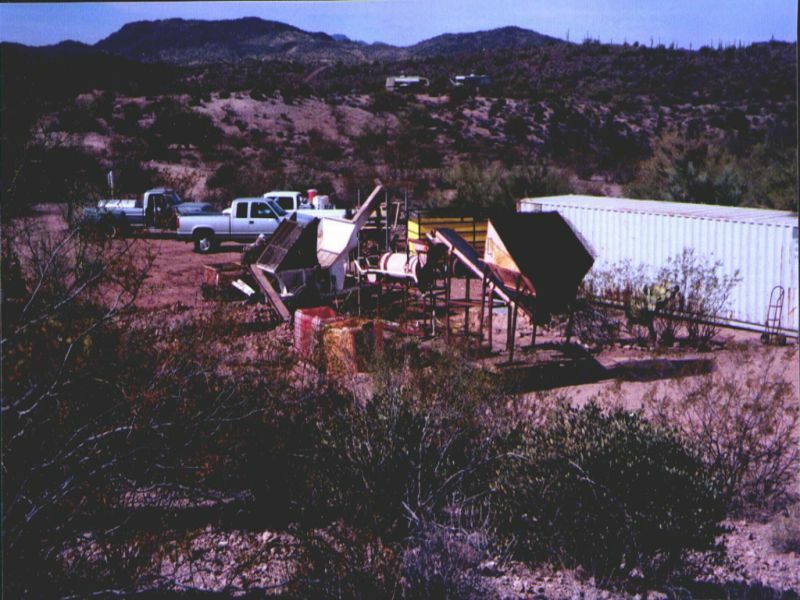 The commercial placer mining operation is located in the shadow of Red and White Picacho Volcanoes located between the junction of the Wickenburg and Hieroglyphic mountains near Wickenburg and Morristown. Other clubs may offer a weekly commercial operation access thousands of miles away, but it is usually only during the summer for 1-8 weeks and at an additional $1000 - $3,000 investment per week above and beyond their membership dues! Both are wonderful, fun opportunities, but you have to ask yourself, how much is the other club's membership really costing you for the activities you really want to be able to enjoy right here in Arizona? As an AAGP member you can enjoy great opportunities year-round on our claims and at a commercial placer Gold mining operation! If you are interested in GOLD sales or buying, we can give you the information on the where and what so you can buy the most for the least. We even offer tours and prospecting adventures and lessons for those who would like to experience the thrill of the (G)Old West. These exclusive opportunities are only available to prospectors through the AAGP! When you join a GOLD prospecting club, be sure it's the AAGP and be sure you make it a "Gold Getter" membership! GOLD - WHAT A BEAUTIFUL SITE! GOLD - a joy to see in your pan. even more so if you like to stargaze! 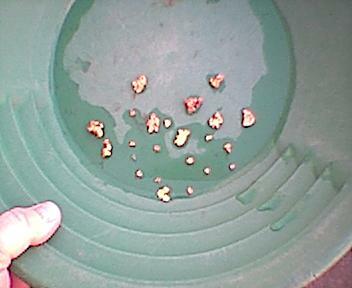 Commercial equipment allows us to process more gravels to find more GOLD! No picks or shovels needed! The AAGP offers the "Basic", "Gold-Getter" and "Platinum" memberships to give you access to great mineral claims and the only club-based year-round commercial placer GOLD mining operation in the world! 1. A personal 15%-20% discount on all products that may be offered by vendor members including famous Gold King prospecting equipment. 2. YOU will also receive a personal minimum 15%-20% discount on all of the Special Events hosted by any local AAGP chapter in Arizona. 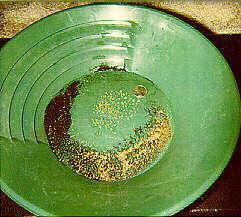 All AAGP members also have access to many prospecting and mining related events including Common Operation GOLD Digs, Nugget Fest Commercial Common Digs, Splash Bash Common Digs, Nugget Shootouts, Pot Luck Dinners, Treasure Hunts, educational and entertaining GOLD Prospecting Seminars & Classes and Club Outings and Chapter Meetings. 3. YOU will have premier access to great mining claims around the state to prospect and YOU GET TO KEEP ALL THE GOLD THAT YOU FIND! The AAGP mineral claims extend from the flowing waters of the Agua Fria River at Cordes Junction down across the Bradshaw Mountains to the Wickenburg - Morristown area and down to the Tucson - Continental area which makes up the (Gold)en Triangle of Arizona. 4. YOU will receive your personalized AAGP Membership Badge and your personalized AAGP Claims Guide with easy to read maps and directions to all of the club claims. This helps you to make sure you are on the right claims to help avoid any unpleasant confrontations or illegal actions in the field. You can get all of the above plus a whole lot more with the new PLATINUM Membership for only 20.5 cents a day. This is less than the cost of one coffee or soda drink!! NOW THAT'S A NICE CLEANUP! GOLD is always beautiful to see. The AAGP Pan and Poke Online Newsletter! WHILE YOU'RE HERE SIGN THE AAGP GUEST MAP! THE AAGP PRESENTS DESERT JEWELS! WANT TO LOSE WEIGHT NOW? INCREASE VIRILITY? CLICK BELOW! Become Famous! Help the AAGP & SETI@home find ET! Copyright © 1998 - Arizona Association of Gold Prospectors, Inc.